The Seeress prophesied at the beginning of time that the Gods of Asgard will not survive the final battle; the Nine Worlds are heading to destruction; beauty and order will fail. As the forces of chaos and darkness gather, Declan and Magda, two young people who have never even seen each other before, suddenly find themselves seized by Odin. He takes them from their own world to work together to save the magic of the Runes and create a new future for the gods. Caught up in the end of the worlds, they choose love, courage and even cunning, and they themselves undergo the awesome magic tests where Odin first won his great powers. But can the prophecy of the Seeress be averted? Can a new world be created? And what will be their place in it? ‘Heimdall has sounded the Gjallarhorn. The forces of chaos are invading Asgard,’ Magda said urgently. Liam finds his life path in vision, ritual and living close to the earth. He leaves his cold and ambitious father who cares only for exam results and career and joins a protest group dedicated to saving a Bronze Age Stone Circle threatened by the start of quarrying near-by. In confronting the forces of greed, money, law and order and establishment, to whom an ancient sacred site is valueless, Liam is forced to make a choice: whether to risk his liberty in joining the protest or turn away out of fear. In defending the sacred earth, he discovers the Vision Realm, love and family. His life will never be the same again. Aislinn and Finn are called by destiny. They embark on a fearsome journey of love, healing, magic and courage. Despite all the odds, they seek to restore Corra to Ireland’s sacred mountain and renew the Druid heritage of the sacredness of the Earth. When Saint Patrick set out to convert Ireland, he spent forty days in fasting on Ireland’s Holy Mountain, the mountaintop Croagh Patrick. He fought Corra there, as goddess of the Mountain. He called her a ‘she-demon’. He defeated her, and he consigned her to the lough below the Mountain for eternity. The Irish then lost their language, their forests and their sovereignty. Can Aislinn and Finn now truly connect to the ever-flowing energies of Spirit? Can they restore the strength, power and beauty of the ancient Irish heritage? Can the energies of the Irish Gods and Goddesses shine forth? Can the Druid Path connect us to our true essence? Spanning six millennia, the quest encompasses faith, courage, love, the use of power and contact with the Goddesses and the Gods. 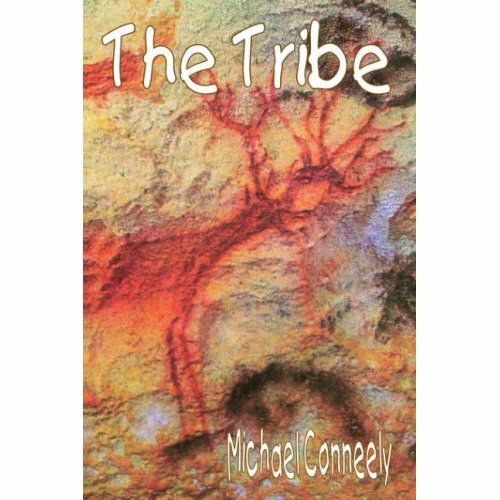 The Tribe is the story of Liam's passage to his manhood, the development of his spiritual vision, and his people's progress to meet their destiny. A 'must read this' magical, visionary and inspired novel by Michael Conneely. 'Look around and recognise your Tribe!' Ingrid always said this at the start of every evening meal. They looked around at each other and offered appreciation, respect, love. Young and old were all joined in the struggle to preserve the Tribe, keep it as one and honour the legacy of it ancestors.